BRODA’s Vanguard Bariatric Tilt Recliner is a revolutionary seating option that provides exceptional comfort with both tilt and recline positioning. It is designed for bariatric individuals requiring long term care (up to 600 lbs!) BRODA’s unique Comfort Tension Seating® system provides pressure redistribution and air flow for increased sitting comfort and support. 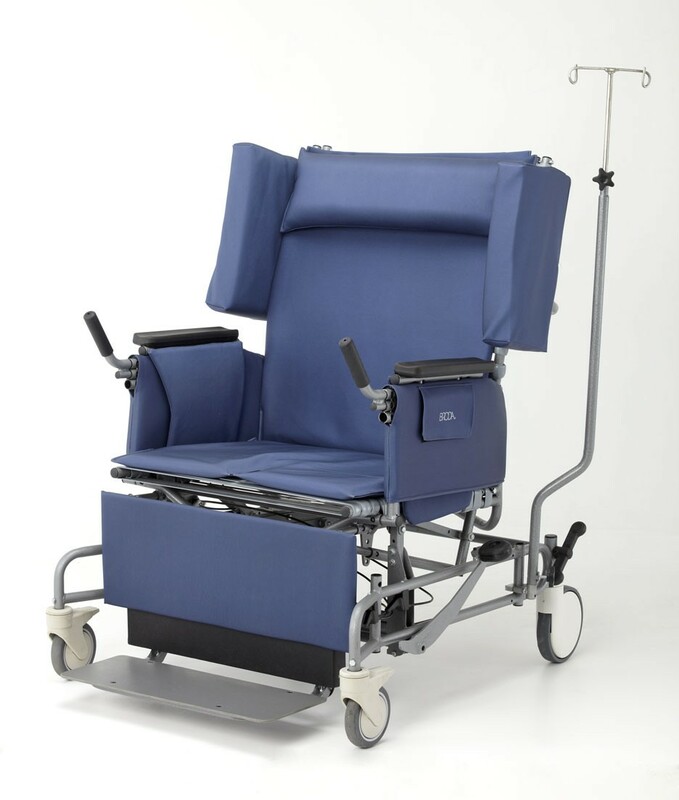 Featuring infinitely adjustable positioning of up to 30° posterior tilt, 10° anterior tilt, and 45° of back recline, the BRODA Vanguard provides safe and comfortable positioning and ease of caregiver use. Optional curved back accommodates patient’s gluteal shelf. This allows bariatric patients to get out of bed and socialize for improved quality of life.